I’m so loving this beautiful, natural styling by Photographer & Stylist Line Kay who I have mentioned before here. 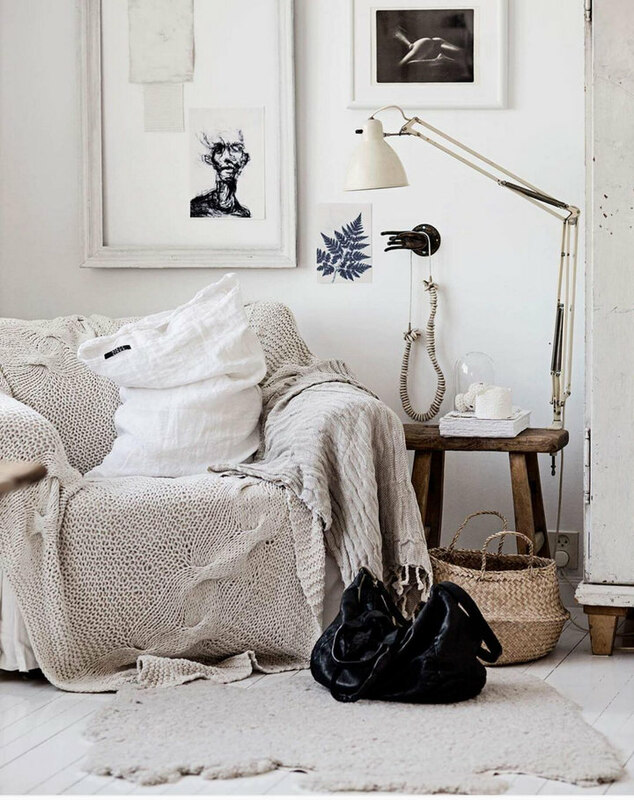 The mix of textures and soothing off-white and cream hues with a few touch of vintage makes this the perfect spot to hang out on a gloomy day. Line’s recent natural styling for Hale Mercantile Co. is also pure eye-candy. Go here to read about 5 ways to use this gorgeous natural basket. Thank you so much for sharing Hale! Gorgeous! Previous PostWhat are you most 2016 inspiring new resolutions?